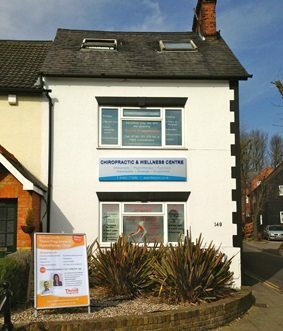 Treatment for phobias in Rickmansworth clinic, welcoming enquiries from Eastcote, Harrow, Northwood, Watford, Uxbridge, Pinner and London. Phobias are extremely common and are experienced by at least 11% of the population at some time in their lives. Some of the most common are fears of spiders, snakes, flying, birds, needles, vomit, fear of open or enclosed spaces (such as fear of lifts or fear of tube trains), fear of going out and fear of heights. Indeed, people can develop a phobic response to almost any situation. Put simply, it is the sufferer’s lack of emotional control when thinking about, or being in the presence of their feared stimulus: the huge amount of stress and anxiety they are creating by the WAY they are thinking about their feared object or event. People with phobias nearly always attribute their fear to the stimulus itself; most people suffering from a phobia know logically that their response is irrational and unjustified. 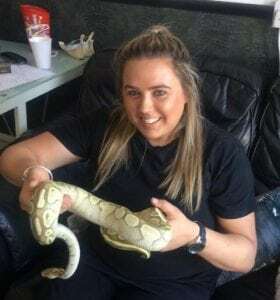 For example, a person with a snake phobia in Britain knows that there is no risk of them being bitten by a snake, and yet the thought of one can terrify them. Likewise a person with a fear of flying may know logically that it is the safest form of transport but still are terrified at the thought of it. How is this possible? … I feel like a different person. I cannot believe how happy and calm I am as a person now. This program will help you overcome a specific phobia but it will also give you so much more.once I’d understood the concept and ideas of this program it was a light-bulb moment – my path to getting rid of the anxiety was suddenly very clear and very simple. I just wish I’d found Thrive sooner! SOCIAL PHOBIA – social anxiety: a fear of being judged negatively in social situations. If you answered yes to any of these questions, you are likely to have a phobia and may consider The Thrive Programme or hypnotherapy to remove it quickly and effectively so that it no longer intrudes into your life. Dearest Cara, What can I say, I know it sounds cheesy but I honestly feel like today is a fresh slate and a new start to my life! I left your room feeling invincible, I felt like I could do anything I put my mind to. I know it sounds very bizzare but I felt like I wanted to come home and try and make myself sick to prove to myself that it wasn’t all that bad and so what… its only sick! I don’t feel scared! I’m on such a high its hard to put into words how I feel. I have so much positivity in the fact that I will do everything that scares me, I can’t wait to get in a lift, take a trip on the train, go flying, it doesn’t matter what it is, I just want to do it. I would never have even thought about doing these things until I met you. You are one in a million and I thank you for everything you have done for me! All phobias are created by particular ways of thinking about our feared stimulus and the subsequent emotions we produce. If we believe that we haven’t got the ability or emotional skills to deal with a challenging situation/stimulus, we can create a whole lot of anxiety about it. Phobias are the result of certain thinking errors, such as mis-using our imagination to expect the worst – this then reinforces our fear and lack of belief in our ability to cope. 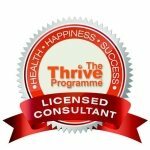 The Thrive Programme is a revolutionary and powerful training programme that helps you to understand yourself, your beliefs and your thinking styles that are causing your fear. Once you have that insight, it can be very easy to think differently, change old patterns of behaviour and feel back in control of your thinking and emotions about that very thing you were afraid of. The Programme doesn’t just teach you how to manage or reduce the emotions from your feared stimulus – it equips you with the beliefs systems and thinking you need to not even create the emotions or the fear. Rather than teaching you to extinguish emotional fires, you’ll learn how not to set them in the first place! It is an empowering and liberating psychological training programme which, with your input, will allow you to build your self esteem and feel much more in control in your life. You’ll find that its much simpler and faster than you may have ever believed to take control and get the life you want. No matter how intense your phobia is, or how long you have suffered from it, it will be caused and maintained by SIMPLE thinking errors that you will be taught to recognise and change. Flying was a real ordeal for me. I had a phobia of it and would try to avoid it where possible. Since seeing Cara only once, I have flown without fear, something never thought I would do. It has changed my life, as I can now visit members of my family who live abroad. Fears and phobias with Rickmansworth Thrive Clinic. Clost to Eastcote, Harrow, Northwood, Watford Uxbridge, Pinner and London.